A Child With A Kite. Description: A child with a kite. 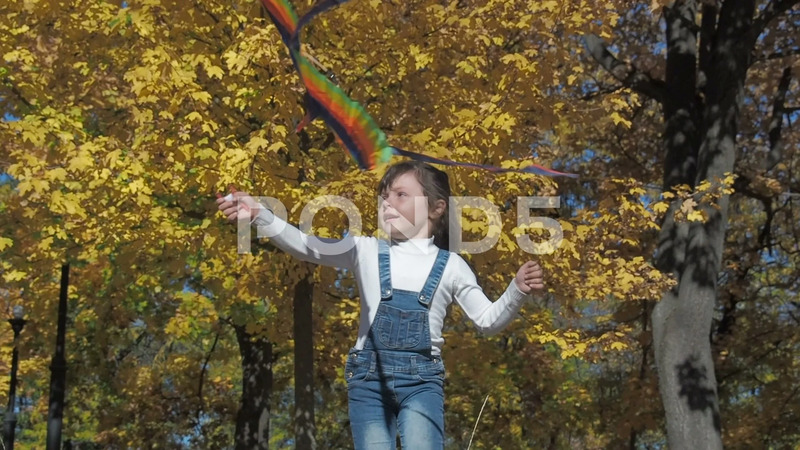 Little girl playing with a kite in autumn park.